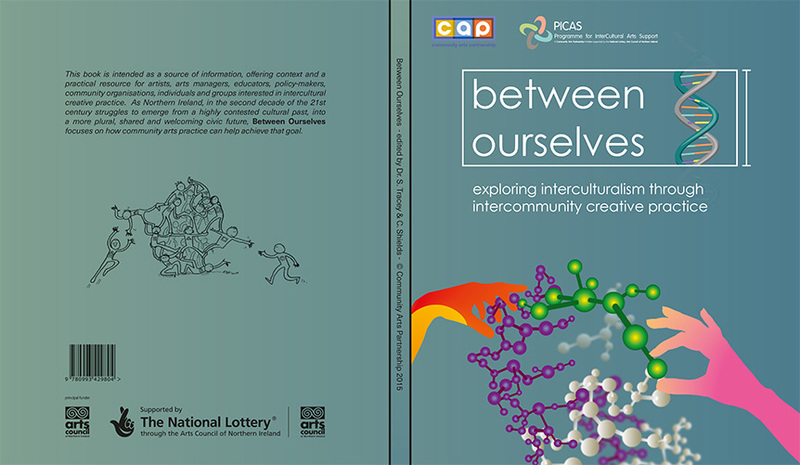 On Thursday 1st October, Community Arts Partnership launched the book “Between ourselves – exploring interculturalism through intercommunity creative practice”. This book is intended as a source of information and a practical resource for artists, arts managers, educators, policy makers, community organisations and individuals and groups interested in intercultural theories and practice. To purchase a copy of ‘Between Ourselves…’ email Gordon Hewitt, Information and Policy Manager, at gordon@capartscentre.com. The cost is £5 (+p&p).